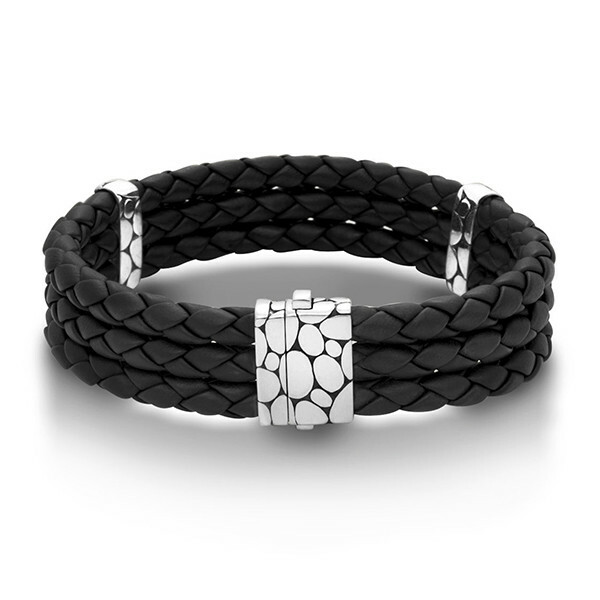 The John Hardy Kali collection presents this striking men's bracelet. It features three rows of braided black leather, and three sterling silver stations hold them in place. The smooth, free flowing shapes of the Kali collection are embossed on the sterling silver stations with one of these stations doubling as the clasp. 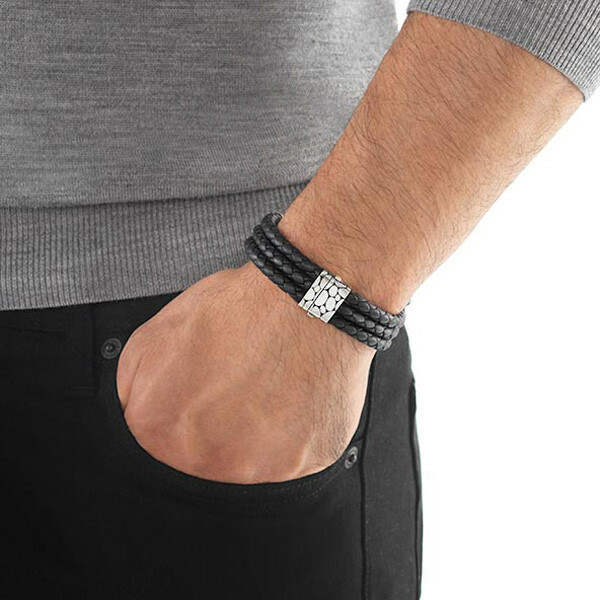 Wear this bracelet alone or pair it with another piece in the Kali collection for a rugged, but sophisticated look! Wrist Size 6.25" - 6.75"